There are many Abaco Marinas which makes traveling between the outer cays both fun and convenient. This article starts in Green Turtle Cay and gradually heads south to Schooner Bay. The first of the Abaco Marinas. In Green Turtle Cay there is the Bluff House Marina and Resort along with the Green Turtle Club. 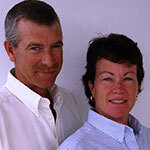 Both are full service Abaco Marinas and have a bar and restaurant. In Black Sound just around the corner there is Abaco Yacht Services which offers full service repair, boat lift and storage capabilities. The Leeward Yacht Club and Marina, Black Sound Marina and The Other Shore Club and Marina are close by. Across the bay on the mainland is Treasure Cay Marina. With 150 slips this is also full service with basic shopping, bar and restaurants. Treasure Cay has an 18 hole golf course and is host to several big game fishing tournaments annually. Back out to the cays heading south to Guana Cay you will come to Bakers Bay Marina. This is a members only Marina and not open to the general public. 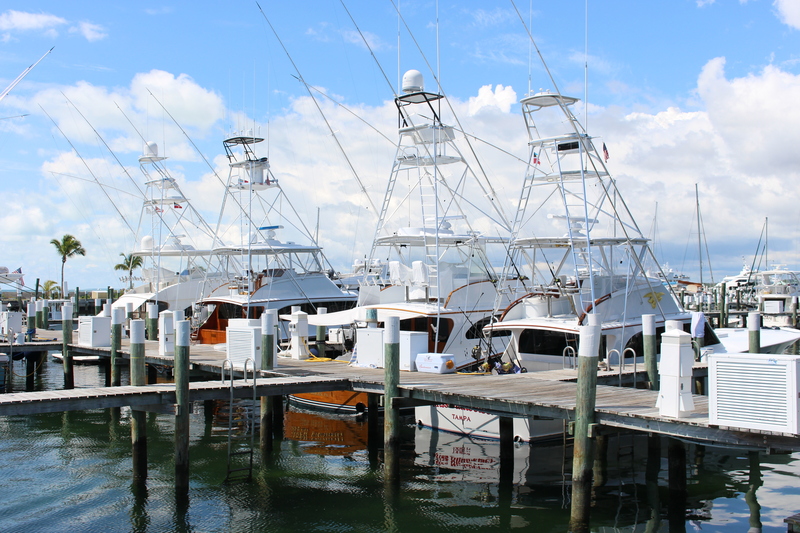 Further south in the main Guana Cay Harbour is Orchid Bay offering a full service marina with 66 slips, one of many Abaco Marinas. Close by is Guana Hideaways with 33 slips. Back over to the mainland you will find Marsh Harbour which is the center of commerce in Abaco. Here there are a multitude of Marinas. Mangoes, The Conch Inn, Harbour View and the Jib Room. All are full service except for Mangoes. They all have restaurants within or very close by. Just around the eastern tip of the mainland on the southeastern shore of Marsh Harbour you will find Abaco’s largest marina. Boat Harbour Marina offers 190 slips and is full service including restaurant, pool, pool bar, tennis courts, beach and more. They also host several large fishing tournaments annually. Just a bit further to the southwest is the Marsh Harbour Boatyard which is a full service boatyard with storage and boatlift facilities. Man-O-War Marina is of course in Man-O- War Cay within their protected harbour providing 28 slips and full service along with the Dock & Dine restaurant. Edwins Boat Yard is a full service boat yard with lift and storage capabilities. Man- O-War is well known for superior craftsmanship. Now heading southeast to Elbow Cay where we also have a nice selection of marinas. Within Hope Town Harbour there is the Lighthouse Marina which is full service with lift capabilities and the Hope Town Inn and Marina. There are many options for lunch or dinner within the harbour. To the south in White Sound there is the Sea Spray Marina which is full service. There are several restaurants here as well. From here there are no other marinas in the Sea of Abaco going south. There is Schooner Bay on the Atlantic Ocean with protected dockage. 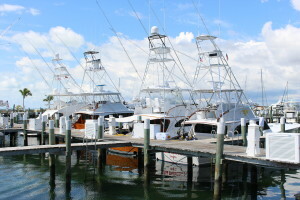 The last available of the Abaco Marinas. This is open water and not suggested for small boats unless weather conditions are cooperative. Here you will find dockage along with fuel, water, and electricity hookup. There are dining options here most of the time.